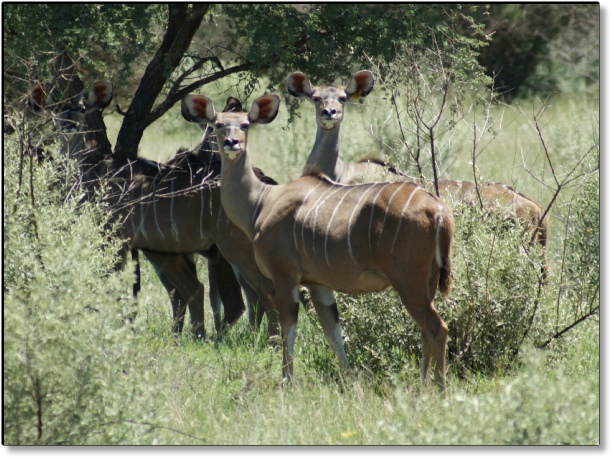 Identification: They are grey brown in colour with 6-10 vertical white stripes on the body. They have a white V on the nose just under the eyes with white lips and chin. The mane is also partly white. The bulls have corkscrew-shaped horns. They have big ears. Bulls have a dark beard that stretches down to the front of the chest. Size: Shoulder height - 1,25 - 1,4m. Weight - 200 - 250kg. Habits: Live in groups of 4-12. Mainly browsers, non-selective. Mainly active at dusk and dawn. 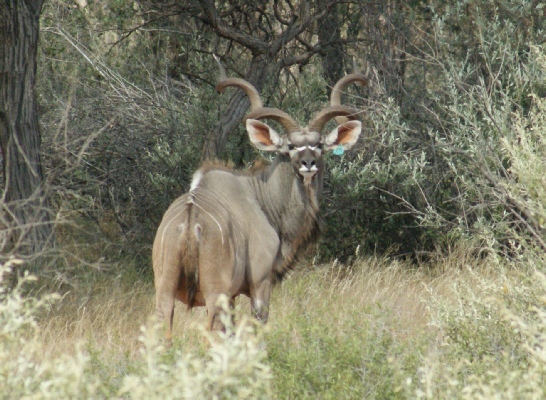 Kudu are gracious. 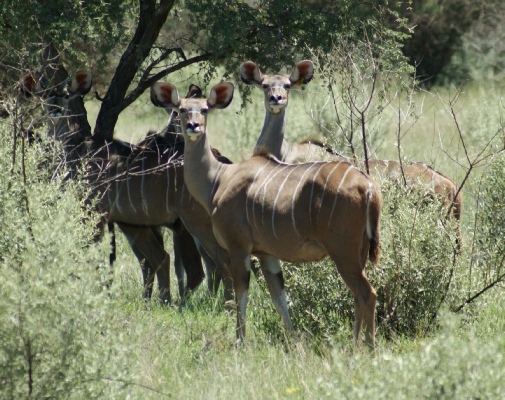 They can jump high and are very shy animals. They give a loud bark when frightened and run away with the horns held horizontal and the tail curled up to show the white underneath. Calves are born mainly from January to April. Distribution: Eastern parts of Africa, Angola, Namibia, Botswana, Malawi, Zimbabwe, Mozambique, Zambia and South Africa. 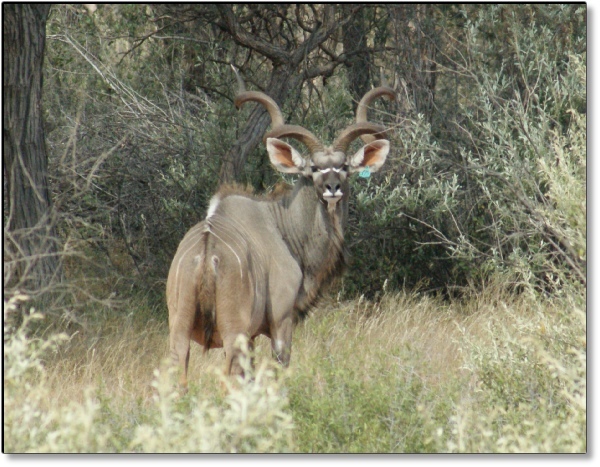 We have launched a new Kudu breeding project at Mattanu Private Game Reserve in an attempt to breed consistent Kudu bulls of 60” plus.